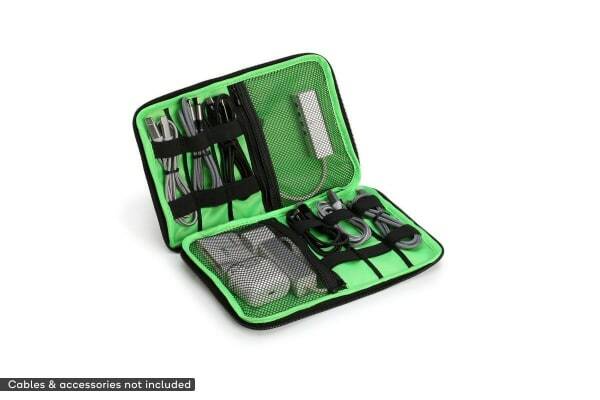 Organise and transport cables, USBs, memory cards, portable chargers, external hard drives and more. No more masses of tangled wires! No more tangles! Separate your cables with the helpful elastic loops, and zip your USBs, SD cards and portable hard drives into one of the roomy pockets. Lightweight and deceptively spacious, the Cable and Gadget Organiser is the perfect size for slotting into your backpack, briefcase or luggage. 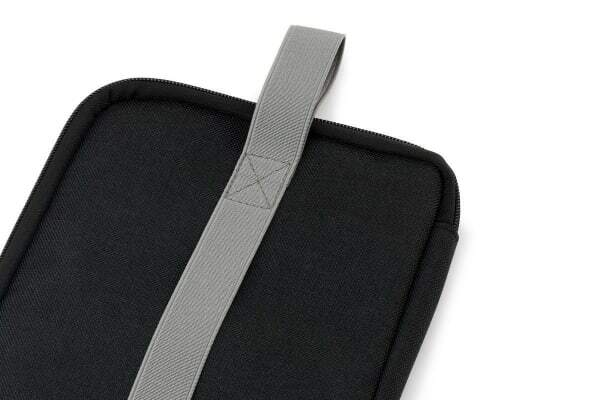 The casing is padded heavy-duty water-repellent nylon, to keep your valuable tech accessories safe from accidents. 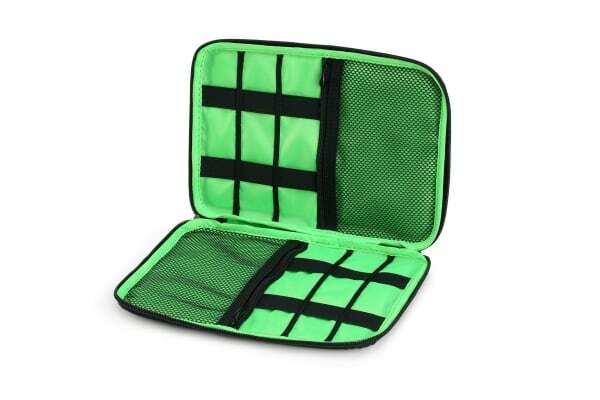 The two-way zipper, transparent mesh pockets and high-contrast bright green interior also mean you’ll be able to find what you need in record time without searching around in your bag for hours. Great storage for all the cables and chargers. Large enough to store a few pens as well. It was a nice size and fitted my cables nicely.